All posts tagged "Andrei Arshavin"
With Arsenal getting rid of several of their 'deadwood' this summer, we look at those players who've left the club after disappointing stints at the Emirates. As Andrey Arshavin completes his free transfer move back to Zenit St Petersburg, blogger Gooner Daily looks back at his disappointing career at the Emirates. 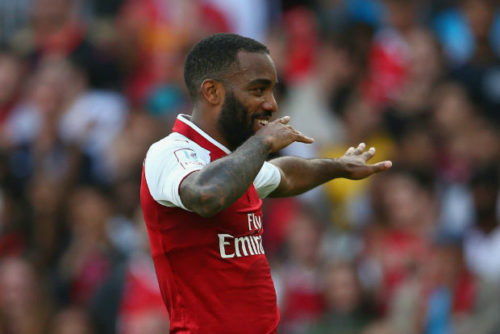 Arsenal blogger Gooner Daily looks over last season's performances from the clubs attackers and strikers and gives each an overall season rating out of ten. Arsenal outcast Andrey Arshavin is seriously considering quitting football at just 32-years-old after struggling to find a suitable club ahead of next season. Arsenal boss Arsene Wenger is finally set to offload some of his 'deadwood' with Arshavin, Chamakh, Squillaci and Djourou all linked with moves away this month.